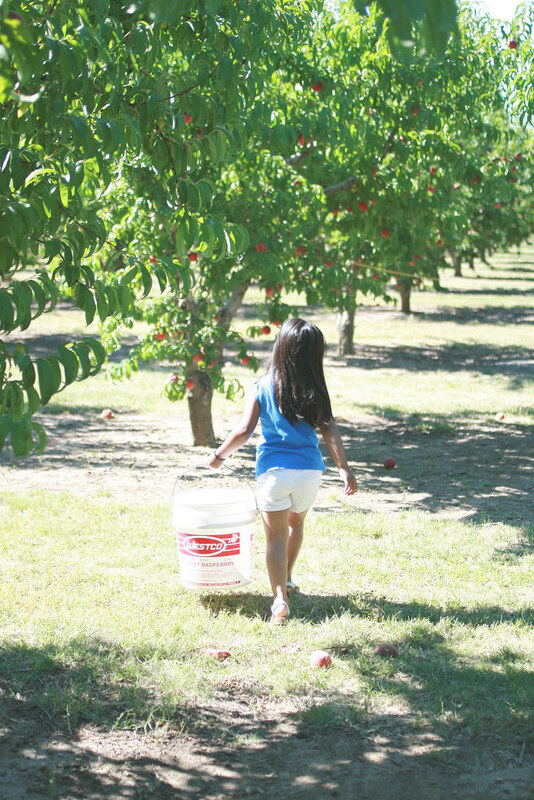 July 09, 2012 in "california", "family"
Last weekend my family took a quick day trip inland to pick fresh fruit at some Brentwood farms. 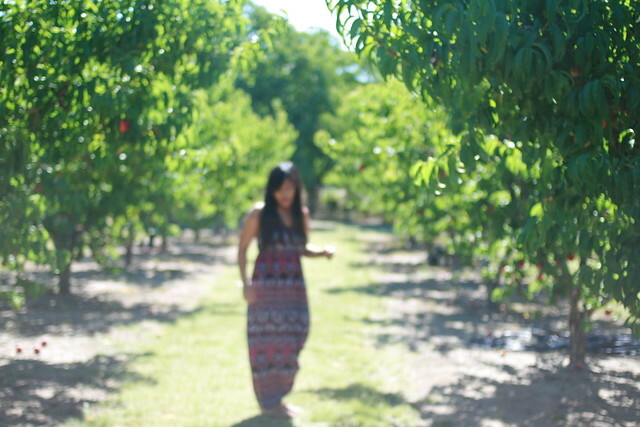 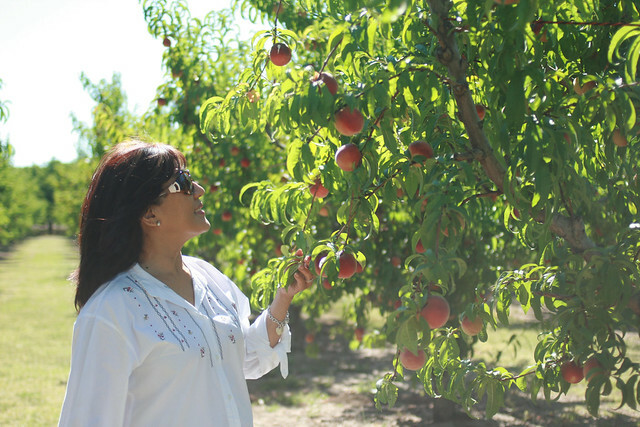 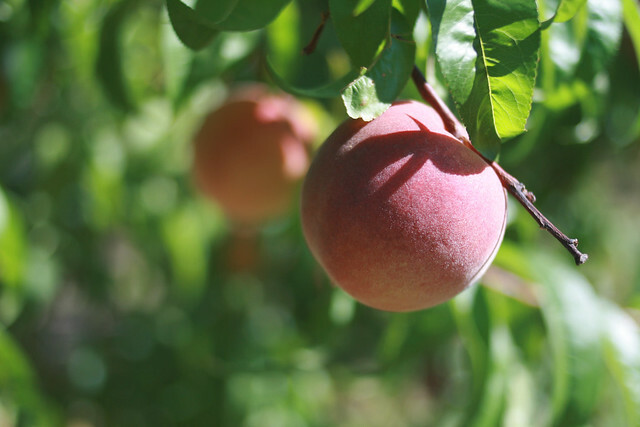 Our first, most memorable stop was at a quiet peach orchard right off the main road. 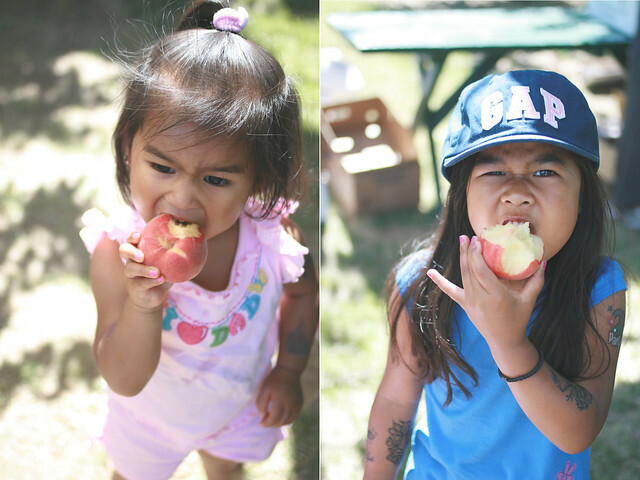 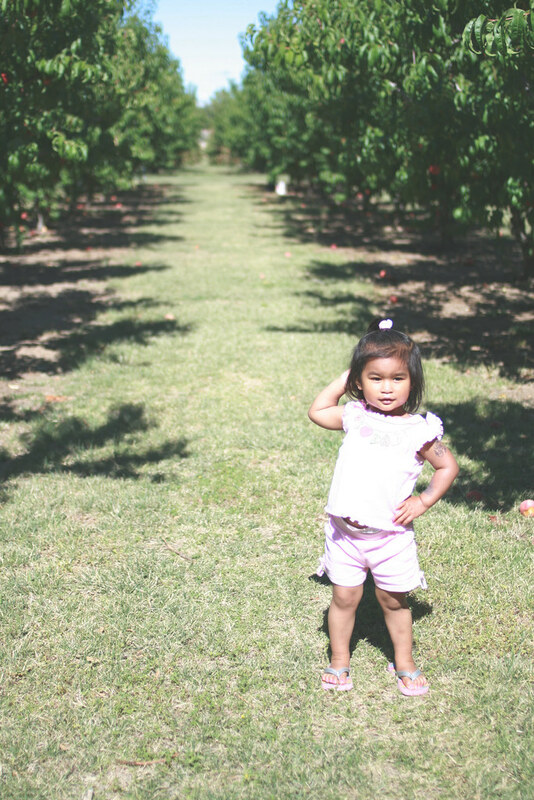 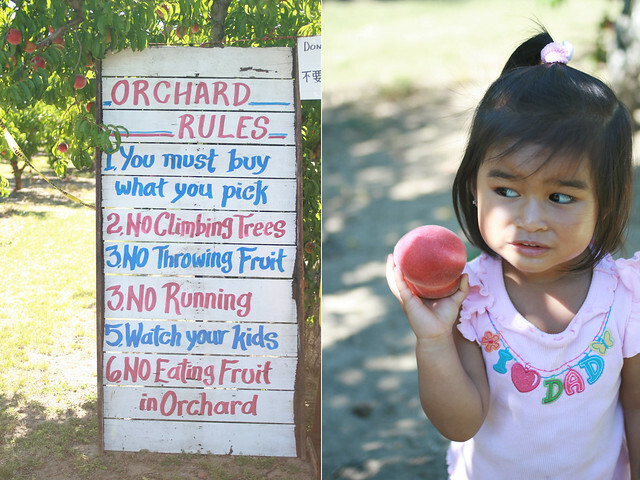 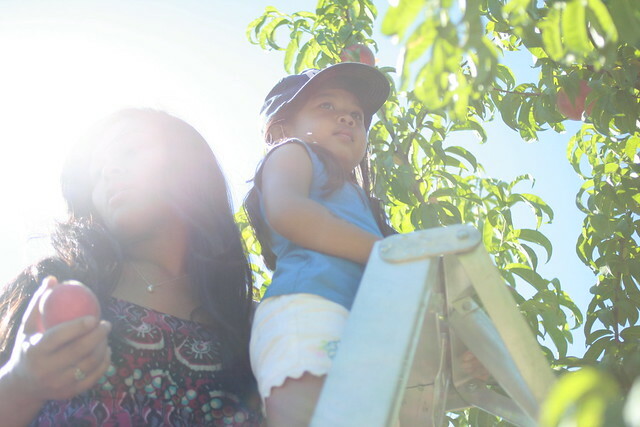 The peaches were so soft that 2-almost-3-year-old Raiza would squish the fruit as she tried to pull them off the trees. 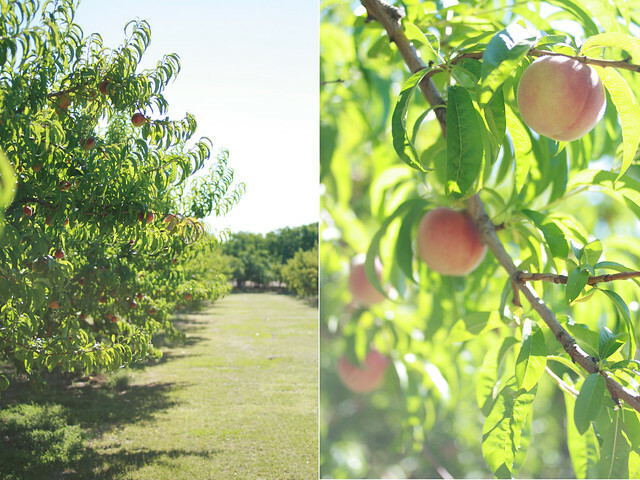 They were the sweetest, juiciest peaches I'd ever had and we ended up bringing 66 pounds home with us. 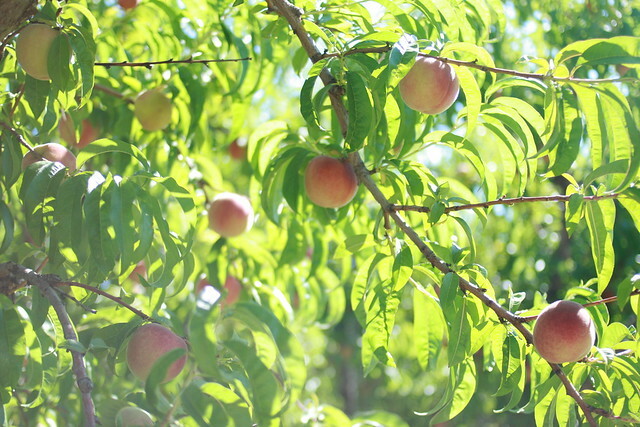 Nothing smells better than the sweet scent of peaches as you hold them close to your nose.